Although my training is journalistic, my trade is now graphic designer. 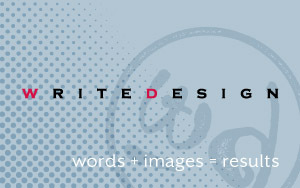 I’m a Registered Graphic Designer (RGD) in Ontario, and have run my own business (WriteDesign) since 1997. I currently work in Guelph, serving non-profits, arts and trade union organizations. I design for print, mostly long-document projects like annual reports and campaign materials. My work-related blog is here.